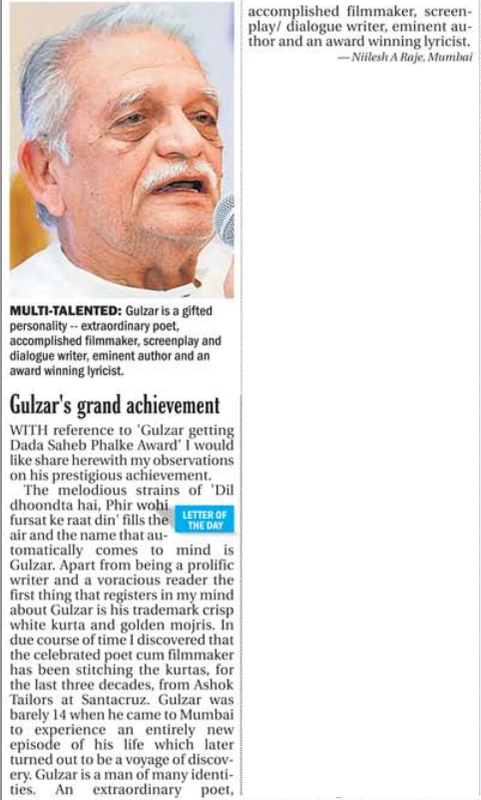 "Gulzar's Grand Achievement" - My piece on Gulzar published in Afternoon Despatch and Courier newspaper (16-Apr-2014) and featured as "Letter of the Day" . . .